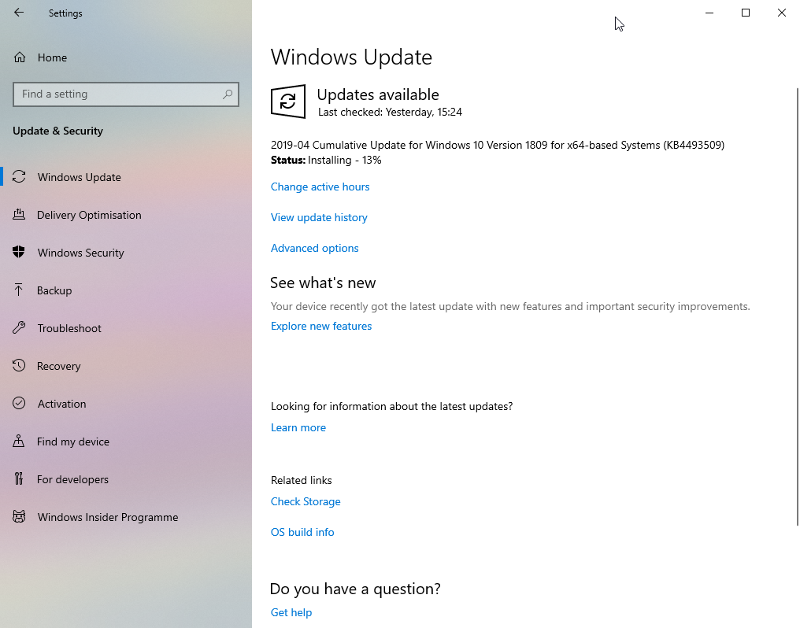 This patch Tuesday, Microsoft pushed a new update KB4493509 for Windows 10 October 2018 update and windows 10 April 2019 update users. The update fixes several issues like font issues, group policy not responding, etc. Additionally, the update is also bundled with some security updates to Windows Kernel and other components like the scripting engine, app platform and framework, file system and storage, etc. As such it is recommended that you update your machine as soon as possible. In general, you can go to "Settings -> Update & Security -> Windows Update". Alternatively, you can also download the offline installer for KB4493509 using the direct download links. This is particularly useful if you've hidden the Windows 10 updates or pause the Windows 10 updates. Below are the official direct download links for KB4493509 update. Just click on the download link depending on your system architecture and the download will start immediately. Once downloaded, you can install it like any other Windows software. i.e, double-click on the installer and follow the on-screen instructions. For ease of use, I've also included the Windows 10 update size for both 32-bit and 64-bit installers. If you want KB4493509 download links for Windows Server or ARM64 based systems, go to the Microsoft update catalog website to find the appropriate links. All you have to do is click on the Download button next to the appropriate version. Addresses an issue that may cause compound document (OLE) server applications to display embedded objects incorrectly if you use the PatBlt API to place embedded objects into the Windows Management Framework (WMF).